After a strong week, Severna Park High is on the move in the latest VSN Girls Lacrosse Top 20. The undefeated Falcons (7-0), now ranked 6th (was 11th last week), knocked off previously undefeated and second-ranked Marriotts Ridge and Anne Arundel County rival Broadneck. Severna Park, Hereford and McDonogh School are the only undefeated teams remaining in the Baltimore area. McDonogh remains No. 1 with Notre Dame Prep, Marriotts Ridge, Glenelg and Glenelg Country School rounding out the Top 5. IAAM B Conference pacesetter Annapolis Area Christian School debuts at No. 20. Pictured above: Severna Park was all smiles after beating rival Broadneck last Friday. The Falcons are up five spots to No. 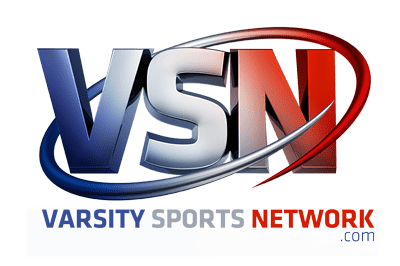 6 in this week’s VSN Girls Lacrosse Top 20. Last week: The Eagles went 3-0, defeating Virginia’s Bishop Ireton (9-7), John Carroll School (12-8), and No. 15 St. Mary’s (13-11). Last week: The Blazers defeated Garrison Forest School (20-8), then-No. 7 St. Paul’s School (10-8) and No. 6 Roland Park Country School (9-7). Last week: The Mustangs defeated Middletown and then-No. 7 St. Paul’s School at Glenelg Tournament; lost to then-No. 11 Severna Park, 14-9. Last week: The Gladiators defeated then-No. 7 St. Paul’s School, 9-5, and Middletown, 22-3 at Glenelg Tournament; defeated Southern, 14-6. Last week: The Dragons won the Fight for Five Tournament title, defeating North Harford (18-6; final) and Winters Mill (20-6; first round), and defeated then-No. 14 St. Mary’s (14-12) and then-No. 20 Maryvale Prep (14-7). Last week: The Falcons defeated Broadneck, 14-7, and then-No. 2 Marriotts Ridge, 14-9. Last week: The Seahawks defeated Northeast, 20-4, and Centennial, 19-3. Last week: The Reds defeated Bullis School, 17-8, after losses to then-No. 20 Maryvale Prep (13-12) and then-No. 4 Notre Dame Prep (9-7). Last week: The Bulls did not play. Last week: The Cavaliers defeated Mount de Sales Academy, 12-11, and Severn School, 16-5. Last week: The Gators lost to then-No. 2 Marriotts Ridge (9-5) and then-No. 3 Glenelg (9-5) at Glenelg Tournament; lost to then-No. 4 Notre Dame Prep, 10-8, and defeated No. 12 Bryn Mawr School, 17-12. Last week: The Mawrtians defeated Mount de Sales Academy (9-8) and Garrison Forest School (13-11), and lost to then-No. 7 St. Paul’s School (17-12). Last week: The Knights defeated then-No. 15 Westminster, 9-7, and Manchester Valley, 19-6. Last week: The Cavaliers defeated Liberty, 15-5, and Winters Mill, 24-9. Last week: The Saints lost to No. 5 Glenelg Country School, 14-12, and No. 1 McDonogh School, 13-11. Last week: The Owls lost to No. 13 Century, 9-7, and defeated Liberty, 17-5. Last week: The Comets defeated then-No. 17 Towson, 17-11, and Bel Air, 16-11. Last week: The Mustangs defeated Great Mills (18-0), Fallston (11-5) and North Harford (9-8). Last week: The Lions lost to Virginia’s St. Stephen’s & St. Agnes (8-7), defeated then-No. 6 Roland Park Country School, 13-12, and lost to No. 5 Glenelg Country School, 14-7. Last week: The Eagles defeated St. John’s Catholic Prep (10-6), Catholic (14-10) and Park School (15-12).